So a heads up. This post is really dreary. My feelings of grim reality. It’s really not very nice. (I often read what I wrote down a few days before, and don’t believe I was there at the time). My memory is very selective apparently. So Jenny (I believe you are one of the few people who reads these rants of mine) I’m sorry this isn’t a cheery post. You can skip this if you want. Maybe in a few days I’ll put up pictures of all my latest gluten free baking triumphs. However, if you care to read on, this is my current reality in all it’s ugly glory. To me, September is the back to school month. Not in a good, bored of summer and can’t wait to get back to school exciting way. But in an I can’t believe in the 21st Century we are still being sent off to archaic institutions that train us in professional daydreaming whilst teachers try to interest us in a Shakespeare Tragedy or to care about what Plato didn’t explain when he wrote the madness that is his ridiculously confusing Republic, kind of way. I went to a great school with amazing people, but at the end of the day it wasn’t Hogwarts. A significant failure on its part. I left school 7 years ago, but the slight ‘September feeling’ is still there. My friend Jenny is going back to university. This is great and I’m very proud of her, yay for Jenny, woo she’s great etc. But it means she will be much further north than me for the next three months. Antonia (shout out for the best little sister in the world) is also going back to university, even further north. How do you both stand the cold? And my point is I will be here, by myself, with my very unsympathetic labrador Oscar. September means starting new things? I feel a growing sense of unease that the summer’s over, autumn is on it’s way and I’ll soon be really cold (all day long). I feel gloomy, uninterested and a shear sense of I don’t care, I wan’t to climb into a hole in the ground and be left alone kind of a feeling. I don’t want to start anything or try anything, but I resent watching other people try and explore new things whilst I feel trapped in my little cage of fear and pessimism that my mind has built for me. Juxtaposition is a great word and that is what this is. One ginourmous screwed up indecision. Where does my motivation go? How do I get it back? And will I ever stop feeling that the world is a horrible place that I wish I didn’t exist in and could step out of? Sometimes, I feel almost weightless and visible but so very pointless that I want to run away from life. But there is no reset, no pause, no time out. Just a continuing fight each day as I drag myself through life. Aiming for nothing (apart from my cosy hole in the ground). Suspended in a waiting room for something I’ve forgotten I came to do. I’ve forgotten why I’m here and I’m tired of looking for the reason. 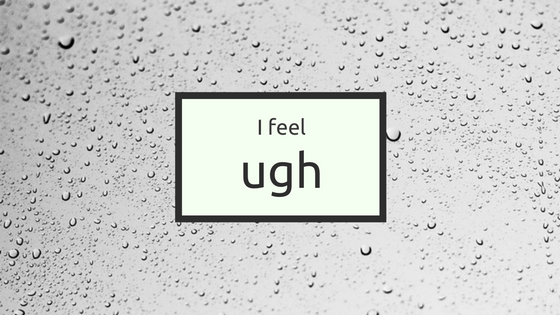 I put the title on a rainy background. You know those days where the sky is one huge canvas of low hanging cloud and drizzly rain. I do actually like rain, but the greyness of this rain sums up my feeling of gloom. I like bright colours, in your face yellows and blues. Sometimes grey is sad, muted and very missable. This is where I’m at, very ready for this gloom to leave. Hopefully it will. Hopefully very soon. I will end this post on something cheerful. If you’ve managed to keep with it all the way to the end, I applaud you. 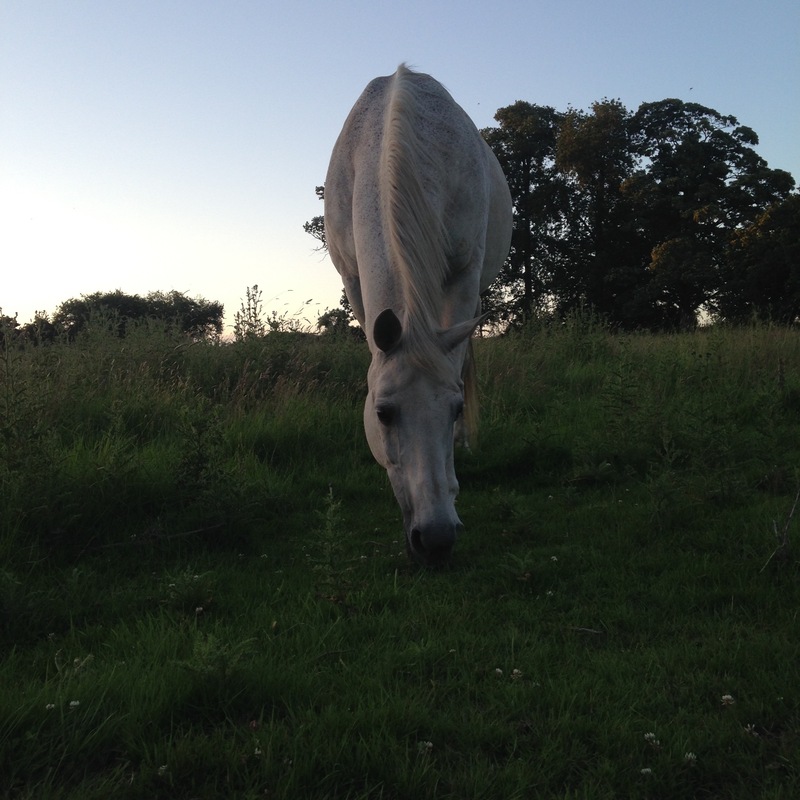 Here is a picture of Kiwi chilling as the sun goes down over his field.